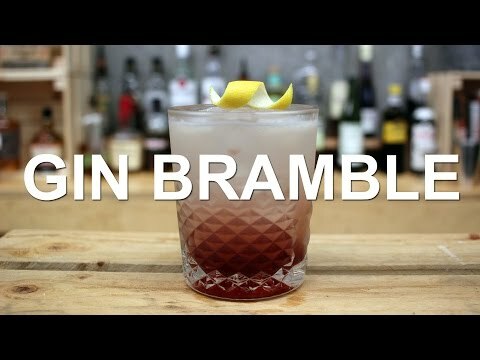 How to make a Gin Bramble. Essentially a gin sour with a splash of blackberry liqueur. A tasty number that balances the sourness with sweet fruit flavors. Hendrick's gin Cucumber Bramble maken.